There has been some phenomenal racing at the TT Circuit Assen for WorldSBK and 2019 was no exception, with the latest installment of the Dutch history added into the WorldSBK record books. However, as always in WorldSBK, personalities blossom and at Assen, there really were some noteworthy quotes! Jonathan Rea is no stranger to lightening starts in WorldSBK but in Race 2 at Assen, Rea raised the bar to something that we have rarely seen before. Starting back on row three in eighth position, Rea rocketed through the order and by Turn 5 on the opening lap, had barged his way into the lead! In what is one of the hardest first sectors of any circuit to make passes at, Rea reminded us all that whilst he isn’t the dominant force of years gone by, he is one of the most aggressive and enjoyable riders to watch. Alvaro Bautista’s 11th win might be impressive, but the Spaniard seems to be facing a problem of where to store all of his trophies, as he spoke to Bikesport News. 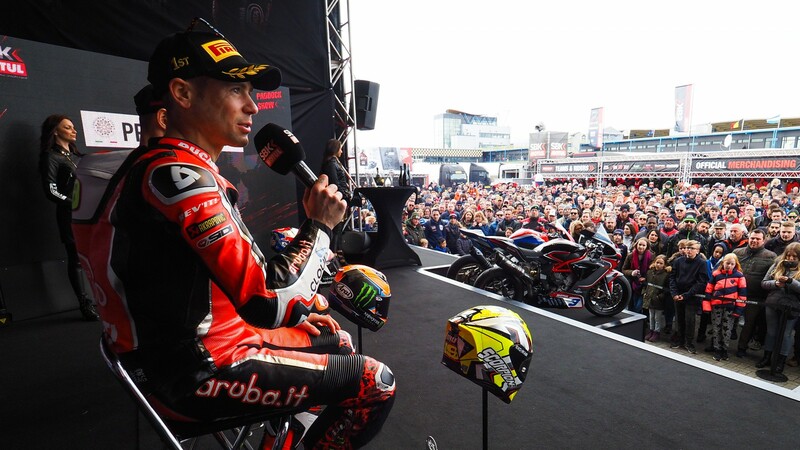 Having set records straight at every single round in 2019, Bautista made it win number 11 in Race 2 at Assen, making it a new record in WorldSBK history for number of wins at the start of the season – whilst equaling Jonathan Rea’s record of 11 consecutive victories. Whilst Bautista has made it clear that trophy space is currently a bit tight, he denied comment on what to do with the Tissot watches he collects after Tissot Superpole. After such a promising start to the season Down Under, Marco Melandri has endured two of the toughest rounds of his WorldSBK career. The Italian veteran has now suffered five consecutive races outside of the top ten for the first time in his WorldSBK career. Luckily for Melandri, it is his home race at Imola, where he will at least be a little bit more familiar. You never can discount the former championship runner-up. It hasn’t been an easy comeback to WorldSBK for Japanese star Ryuichi Kiyonari, as the three-time race winner acclimatises to new tyres, new circuits, new electronics and of course, a new bike. The CBR1000RR is still in the development stages and Kiyonari is starting to look more and more competitive, making incremental increases in performance. Last time out, ‘Kiyo’ had his best Superpole result of the season with 15th, so keep an eye out for him to continue improving.